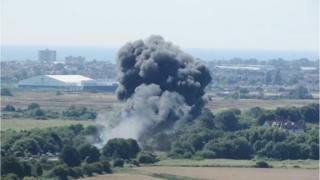 A pilot was “doing nothing” to avoid crashing his jet at the Shoreham Airshow killing 11 men, national courts heard. 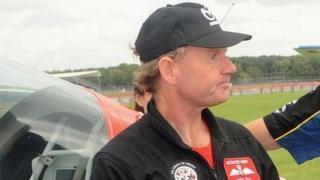 Derek Davis, chairman of the show’s flying control committee, said in the second largest before he knew something was incorrect with Andy Hill’s flight. Mr Hill is on trial at the Old Bailey after his Hawker Hunter crashed on the A27 erupting into a “massive fireball”. “I thought the aircraft on the descent was not being controlled, ” Mr Davis told the court. Mr Hill, 54, denies 11 countings of manslaughter by gross negligence, in August 2015. Mr Davis, a former RAF flight instructor, said he only realised something was wrong when the plane initiated to descend as part of a bent-loop manoeuvre. The move had earlier been described as “perhaps the highest risk manoeuvre in an aircraft which is not designed as a pure aerobatic aircraft”, such as a Hawker Hunter. Mr Davis said the way in which the plane was “waffling down” towards the ground indicated “there is something wrong with either the aircraft or the pilot”. “He was not urgently trying to miss the ground or anything. He was doing nothing, ” Mr Davis told the jury. Asked what had contributed to his concern, he said: “He did not utilize power which would have been needed. “There was no noise. The pilot did not make any radio transmission that he had a problem. “If he thought something was incorrect he could tell somebody, ” he said. He said a call to the pilot could “interfere” with his attempts to deal with a fault. Thomas Moloney, an experienced presentation pilot who once owned the crashed aircraft but had never flown it, witnessed the manoeuvre. He told the court he had experienced a “sickening feeling” when he saw the plane pull upwards, because “the pilot has not attained sufficient accelerates to pull into vertical”. “When the aircraft moved vertical I sort of felt that it was not going to end very well, ” he told the jury. “I said to the pilot standing next to me, a pal of mine, ‘God he’s slow’. On Thursday prosecutor Tom Kark QC played a series of videos of the accident recorded by spectators. 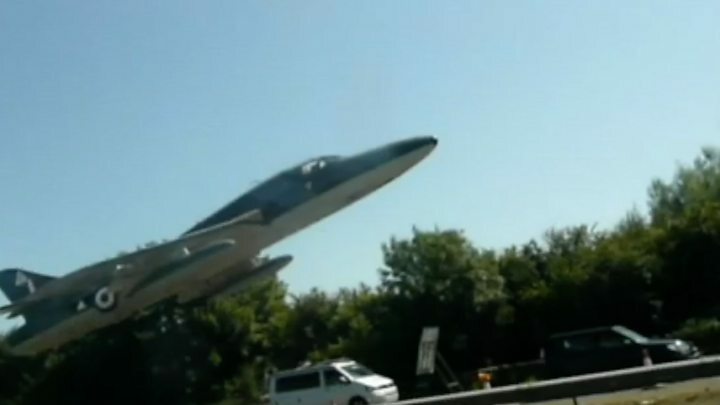 One clip, filmed by a spectator on the road, shown in this aircraft going into the loop manoeuvre before coming towards the camera. It ends with images of the fireball, with the footage cutting out as the person filming hurls themselves to the ground.